It is not very often when three letters can carry with it such a long standing legacy of motorsport greatness. Those same three letters embody the ethos of a company’s relentless vision to defy technology at the time and push beyond it’s boundaries. When the letters GTR is said, it immediately conjures up mental images of four round tail lights speeding into the distance. 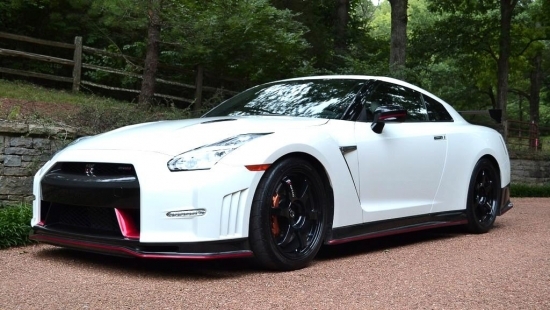 Nissan’s Skyline GTR is one of the automotive industry’s greats to come out of Japan from a time when Italians and Germans dominated the racing field and to this day not only rivals the best of the best in the industry, but is the bar which others compare against. Most who know the GTR know it as the Skyline. Nissan acquired the company Prince who manufactured the Skyline back in the 60’s. Since then, Nissan created a high performance version of their standard vehicle and badged it with GTR and history began to write itself. The Skyline GTRs were built between 1969 and 1974 but took a hiatus until the late 80’s and production of GTRs started up again from 1989 to 2002. Although what we know today simply as the Nissan GTR is still manufactured to date, the Skyline name has since been dropped post 2002. Although the name no longer lives, the underlying DNA of the Skyline undoubtedly lives on. Ford…Chevy….Dodge…these three companies have been at it head to head since the beginning trying to out do one another by producing cars that are better, faster, and stronger than the other. These companies are fueled off of that competition to try and design and put out the best American sports car. Whether it be the Mustang, the Camaro, or the Charger, the pursuit for performance has never stopped. Take the Mustang. Ford is now currently on their sixth generation which has spanned development from 1964 to current day. Each generation uses the best technology available at the time and tries to develop a vehicle that pushes past the standard boundary. Throughout the generations, aftermarket tuning shops have taken the automaker’s mass produced vehicles, and put their own touch to squeeze out even more performance. Jump forward to 1991 and the name John Hennessey comes to mind. Hennessey Performance Engineering (HPE) and their team of gear heads took the automakers competition against each other out of the equation and united all three of them by designing performance packages that can be added on to the stock vehicles to make them go faster. Based out of Texas, HPE designs and manufactures go fast parts out of their 36,000 square foot workshop and showroom facility. Today, consumer brand loyalty still exists. Ford buyers stick with their Mustangs and Dodge buyers stick with their Chargers. But both customer bases have a common ground of wanting high power modifications and spending wads of money at Hennessey to get there. It’s been over 10 years since we last got a hatchback version of the Civic in North America. Civics at that time, and still are, developed as an economical car. With it’s simple design, lightweight body lending well for fuel economy, the last hatchback also made for a perfect platform for weekend racers. Now, 10 years later, Honda is bringing back the hatchback to their Civic lineup. The major difference, the car is all grown up. Gone are the boy racer looks and in comes a more sophisticated car to suit the masses. The new Civic hatchback has lost some of the edge which was presented in the concept form. Typical as cars make their way into production, the soon to be for sale version isn’t quite as aggressive in styling, but it still maintains those chiseled lines. This will suit the car well should the Civic also get a Type R version. BMW is producing a very limited run of M5s called the Competition Edition, but it won’t be offered to the North American market. The car will be made in a limited run of 200 units and will feature a number of improvements over the standard and very capable M5. First up on the upgrade list is a modified engine that bumps the performance of the 4.4L V8 to 600hp and 520lb/ft of torque. That’s a significant horsepower bump over the standard engine which churns out 560hp and 500lb/ft of torque. With the engine power bump, you have to have some massaging of the suspension to handle the new found power. BMW added larger sway bars, sport springs and a sport tuned dampers, and tweaked the steering system to provide more feedback and more direct input for the performance sedan. 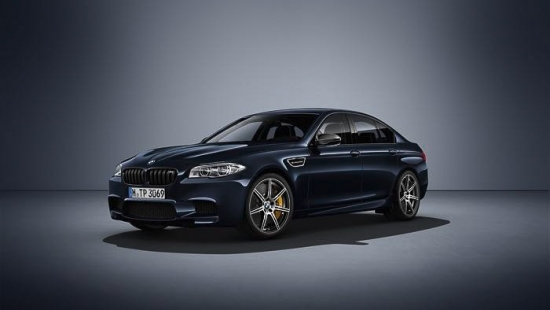 On the outside, the Competition Edition M5 will feature carbon fiber accents over either Carbon Black metallic paint, or Mineral White metallic. Both colors aren’t over the top, but maintains a traditional color palate which suits well for the design of the car. When the car hits European showroom floors, the price tag should just top $140,000. Porsche all new Panamera Turbo is an tremendously capable four door family car that is not only great for hauling around the family and some groceries, but it’ll also stick you into the back of the seat with it’s performance. However, it looks like Porsche has something up their sleeves which will leave even the Turbo Panamera in the dust. That task will be left to a hybrid Panamera which will leverage technology you already see in Porsche’s supercar the 918 Spyder. The news isn’t hush hush about the hybrid Porsche as the automaker stated this fact at the Panamera’s debut recently. The hybrid will be no slouch and likely produce somewhere in the 700hp range. This is a great leap in power above the Panamera Turbo S which currently pumps out around 580hp. Porsche also stated that there will be two hybrid models to come, but has only mentioned the 700hp version so far. That’s leaving us speculating what monster of a Panamera are they going to release in the future. Fiat’s 124 Spider made it’s mark in automotive history during it’s original production run between 1968 to 1985. Although not known to be the most reliable cars out there, the convertible sport car was light and fun. Now after taking a 30 year break, the 124 Spider is making it’s return. The first run of cars produced out of Mazda’s Hiroshima plant in Japan is due to hit dealerships by next week. The 124 Spider shares it’s platform with Mazda’s MX-5. However, where the Mazda uses a 2.0L four cylinder engine naturally aspirated engine, the Fiat will be using a smaller 1.4L turbocharged engine that pumps out 160hp and 184lb/ft of torque. 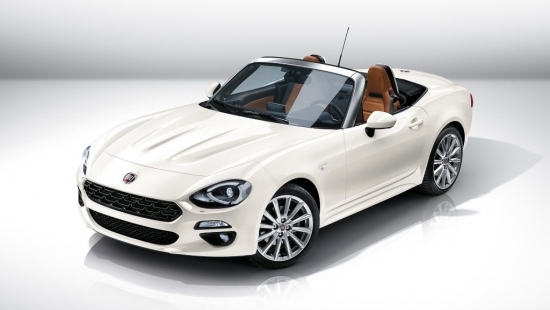 That’s plenty power to move the small convertible around, but we should expect that an Abarth version will follow soon. There has been quite a bit of anticipation for the next generation Panamera to be officially debuted. Over the last few months, we’ve seen numerous pictures of a test mule being put to its paces around test tracks. Despite the light camo in some photos, we are still eager to see where Porsche will take the next iteration of the Panamera. Well it looks like we don’t have to wait any longer. 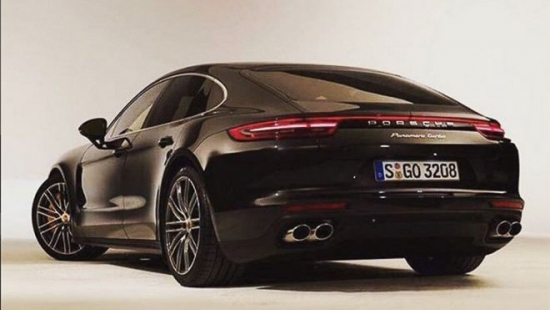 Three photos of the new Panamera just leaked onto social media and it’s looking spectacular. 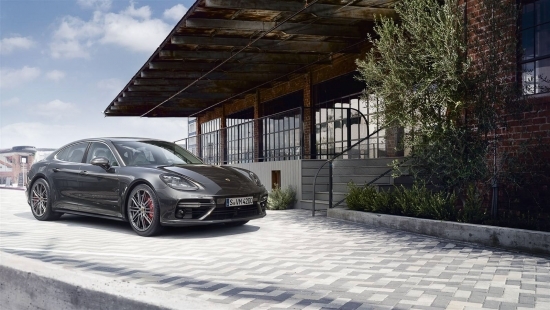 All of Porsche’s new design elements have made it’s way onto the new Panamera. The striking feature right off the bat is the slimmer and sleeker profile of the new car. The front got a more modern refresh, but the rear of the car got the most attention. The rear of the Panamera has a profile that much more resembles the 911 and that’s a great thing. The Panamera no longer needs time to get use to. It’s a beauty right from the get go. The new Panamera will be built on top of the company’s new MSB platform which is lighter and also stiffer than the outgoing chassis. We should also be seeing a couple engine variations in the Panamera, namely a revised 3.0L twin turbo V6 and likely a 4.0L twin turbo V8. Other power train will likely come down the pike as well. The official release of the Panamera is set for June 28. Maserati’s Quattroporte was due for a make over and the most recent rendition takes design elements which were seen in the Alfieri coupe concept. The newly imaged Maserati receives quite of bit of exterior massaging. The front facia has a more aggressive profile which integrates side and lower vents. Aero on the Quattorporte also include an active element which allows the Quattroporte to improve its aerodynamics by 10 percent. The Quattroporte will be powered by a 3.0L twin-turbo V6 which pumps out 404 hp and 406 lb/ft of torque. The car can be purchased in either a rear drive of all wheel drive configuration. Those wanting ore power can opt for the 3.8L twin-turbo V8 which ups power to 523 hp and 524 lb/ft of torque. 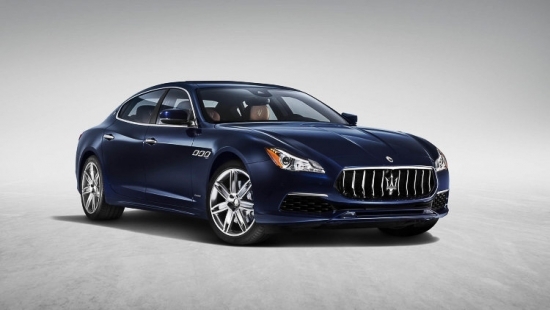 The newly revised Quattroporte will already be hitting showrooms for purchase before the end of June. 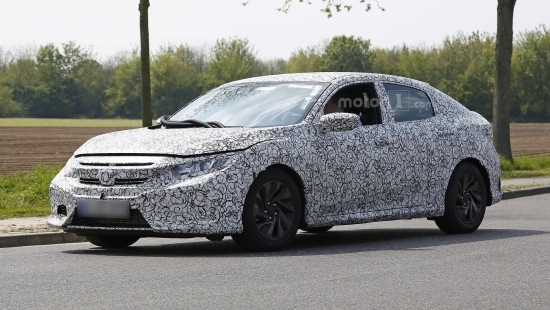 The latest edition of the Honda Civic hatchback has been caught doing some testing clothed in camo. What’s visible are the angular lines of the vehicle which follows closely to the Honda design elements in their current coupe models. Although at this point, there really isn’t a point to stay in camo as we already have a good sense of what the hatchback will look like in production mode. 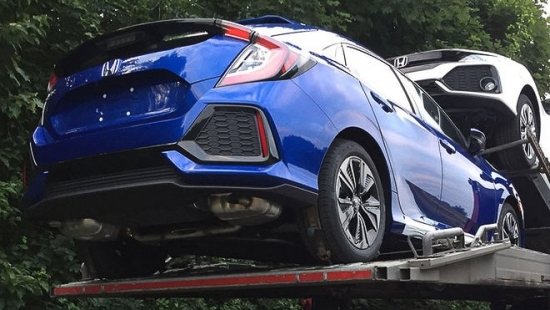 Honda has yet to confirm motor choices for the new Civic hatchback. However, one could easily surmise that it’ll either be their naturally aspirated 2.0L four cylinder engine or their more powerful 1.5L turbo four cylinder that pumps out 174hp and 162lb/ft of torque. No word on what the new Civic Type R will be using for an engine so that will be the surprise element for the new Civic. 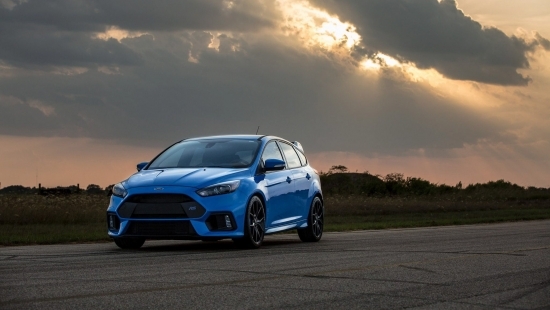 We can also guess that the body work will be more aggressively focused than the camo hatchback you see here. The new Civic hatchback will go on sale in 2017. The second generation A5/S5 has been long awaited by the public. And in Audi fashion, they unveiled the vehicle on their own timeline at their headquarters in Ingolstadt. The automaker wanted to bring in the history of the coupe with the Audi brand and decided to invite a collection of Audi coupes to the event. To some, the new A5 coupe might look like a refreshed first generation rather than a new vehicle, but that would of course be incorrect. Audi had great success with this particular body style and wanted to stay true to the original body styling yet bring about a new vehicle for customer’s enjoyment. The A5 will be offered with a variety of different engine options in Germany, but we’ll likely only get a sampling of that in Canada. But for your amusement, the A5 will have the option of two gasoline and three diesel engines ranging from 190hp up to 286hp. 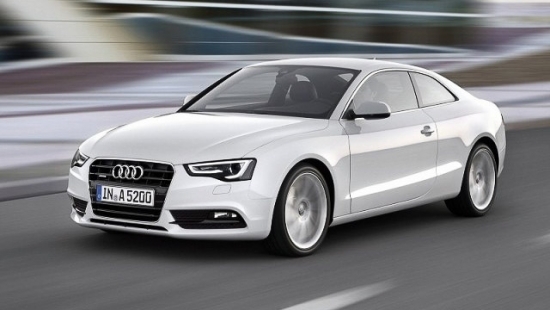 The S5 will get the top trim 3.0L V6 turbocharged engine which pumps out 354hp and 369lb/ft of torque.